I help develop self confidence and test-taking skills. My tutoring approach is based on working with a student to determine his or her strengths and then figuring out how to build upon that student's confidence with the subject matter. I think utilizing analogies can be a powerful tool to make the learning process more personal. My background and qualification cover a wide array of subjects; which I believe is helpful to finding such strengths in others. I can help students even when they feel overwhelmed by the subject matter. I earned a Bachelor or Arts in Economics from Rutgers University with concentrations in Math and Stats. Additionally I obtained an MBA in Finance and International Business from New York University's Stern School of Business. I became a much better student in graduate school by becoming much more organized so I can help with this process as well and especially for those where this does not come naturally. I started tutoring others in middle school and continued doing this since then. I love tutoring and mentoring. Most of my work comes from repeat client business and referrals. I value that a new student very often feels comfortable enough to utilize me more than once. I average 10 hours of tutoring per student. At the same time, I enjoy developing additional tutoring relationships; I love to learn and continue to do so by tutoring. 2 years ago, I received certification in Financial Risk Management, which is a very difficult testing process. Thus my exposure to being in an environment outside of my comfort zone is quite current. I work with both children and adults. I believe there are often several methods to learn the same task. If you are struggling to master concepts, I will work with you to see what we might be able to do together to change this. I find that we can often learn by asking questions and looking at practical examples. My goal with working with you is that you like the approach that we develop together, that you achieve the results that you are seeking and and then hopefully you want to give me a positive referral, as a result. I studied for a Masters in Business Administration at NYU's Stern school of Business. It was a generalized 2 year program and covered a variety of disciplines including: management. accounting. finance, economics, marketing, taxation, quantitative methods and computer technology. Additionally I have worked in the business world for 25 years and try to incorporate the academic world into the business environment. I was an economics undergraduate major and had 4 courses directly related to econometrics. Additionally in graduate school I developed a focus on quantitative methods and modeling which use econometrics techniques. Econometrics also involves Math, Stats and computer familiarity, which i also have substantial background in. I have studied various disciplines of Finance as an Economics undergraduate at Rutgers and Finance student at NYU graduate school. My courses have included money and banking, corporate finance, global banking, international finance, securities analysis and fixed income. I can calculate annuities, mortgages, interest, IRR, break-even analysis and NPV very easily and can make the material understandable for the student. I enjoy tutoring because it keeps my skills up to date and also allows me to help others learn the material. I enjoy accounting and taxation. Accounting for me is similar to math. There is a logical set of rules that one applies to balance an equation. Assets always equal Liabilities + Equity, even when one of these numbers is negative. Also sum of Debits must equal the sum of credits. Economics is a passion of mine and I am very good at making complicated subject matter easier to digest. My first step in learning public speaking was achieved by taking the eight-week Dale Carnegie Course of "How to Win Friends and Influence People". In the course, all of the students prepared presentations and shared them with our classmates, which would involve being in front of about 40 people. Beyond this course, I also have had extensive roles in conferences as a both a speaker and moderator, appearing over 25 times in front of an audience, which were as large as a 100 people. Additionally I have significant experience mentoring others with public speaking events. I believe the big components of public speaking involve seeking out topics that one is interested in, doing research, preparing of the materials to be presented, rehearsing the presentation and trying to have fun. Good public speakers demonstrate confidence and inspire others to want to learn more about the subject presented. I started studying statistics as an undergraduate economics major and further studied it as a part of MBA. I have continued working towards mastering this material and most recently passed the FRM, which has a significant amount of statistics embedded into the program. I am very strong at explaining and teaching the subject. Teaching Elementary Math is more complicated because of the common core requirements but the value with using this process is that is very standardized between all the schools and it does work. For many parents that have not had the exposure, the common core can be overwhelming. When we couple this with a child that is struggling, it becomes very stressful. My goal is to alleviate the stress of both the child and the parent. Once the stress starts to fade away, the benefits of the common core kick in and kids become much stronger at Math. I have had at least 15 courses involving political science in high school, college and graduate school, including: American Government, Comparative Politics, Images of Women in History and Literature, Political Science 101, International Economics, International Dimensions of Business, Modern Civics, History of California, Marxist Economics, Western Civilizations, International Banking and World history. Beyond the above, I actively read the paper and websites relating local and international political events and have also traveled extensively to over 30 countries. I understand the different forms of government utilized throughout the world and always interpreted in learning more. I love tutoring Political Science and have done so since high school. Social Studies became one of my favorite classes in elementary school and I avidly studied it in middle and high school. In college and graduate school, my Economics and then Finance majors incorporated social studies into the curriculum; I also pursued many elective courses that bolstered my knowledge in the social studies area. Altogether, I have had 17 post high school classes that have built upon my social studies interests. In tutoring the subject, I will share with the student that U.S. American National Council for the Social Studies defines it as the "integrated study of the social sciences and humanities to promote civic competence". I will then look tap into the student's strength in either history, reading or the sciences to build such student's confidence in this field. I have minors in Math and Stats including 4 semesters of Calculus plus linear algebra and differential equations. I studied math through college including 4 semesters of calculus plus linear algebra and differential equations. I like math and more importantly can explain tricky issues from a very helpful dynamic. Math can be overwhelming so having confidence with one's abilities in math is a good foundation for dealing with struggles. My style of teaching math including precalcluls is dependent on where the student is on the self confidence scale with the more self doubt the more one needs to go back to easy to digest building blocks. I became interested in studying probability in Algebra 2 in high school. Our teacher brought up the idea that in our class of 25, there was greater than a 50% chance that 2 kids had the same birth date. After class, I asked him to show me the math behind the example. He gave me some further homework of a similar vantage point. In college and then graduate school, I went on to study more probability course work. Most recently I studied probability as part of risk management certification. In financial risk, probability helps determine in likelihood and magnitude of losses. I've worked with Vinay for a year now and I have nothing but great things to say. Not only is he professional but he has helped me improve my grades. I highly recommend! Working with Vinay has been a positive experience. 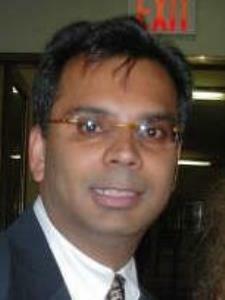 He is an accommodating, patient and professional tutor who knows the material and comes to each lesson prepared. I certainly highly recommend him!